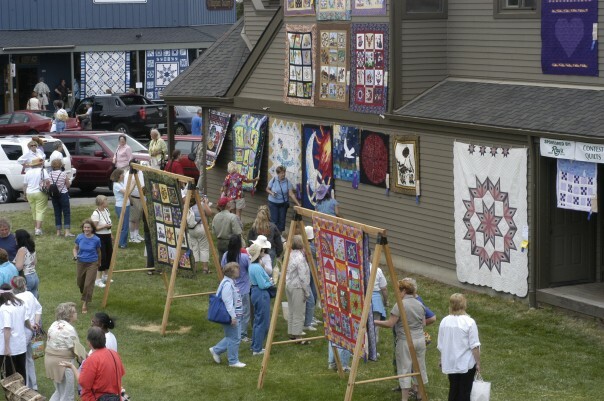 The Sisters Outdoor Quilt Show is the largest outdoor quilt show in the world, and a visual feast for the eyes. In its 34th year, this show exhibits more than 1,200 quilts on storefronts, balconies, fences and railings throughout town. 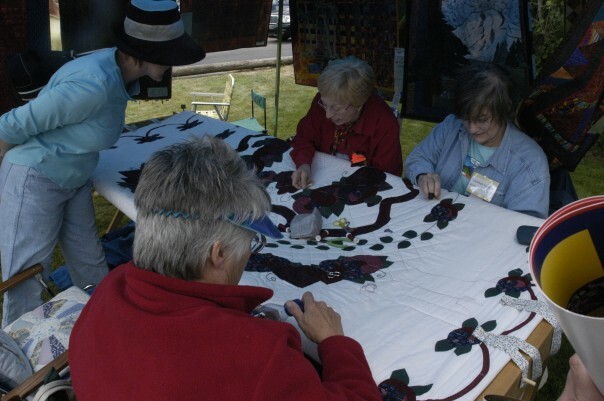 The 1880s-themed town of Sisters transformed itself from a logging town to retail tourism center based on events like the Quilt Show that reinforce the community’s culture and heritage. 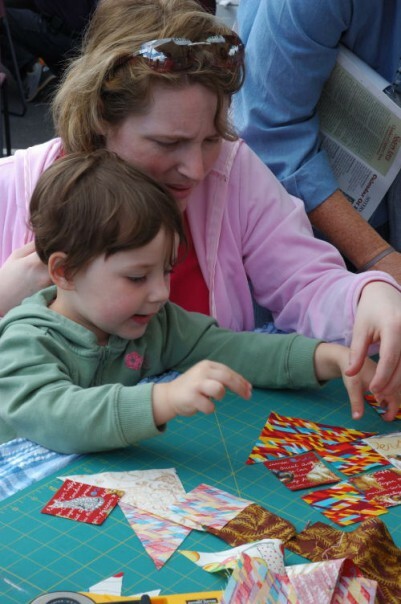 It is a destination for more than 15,000 visitors each year to view the work of quilters from around the world, with quilting & fiber arts activities that span the week prior to the show. 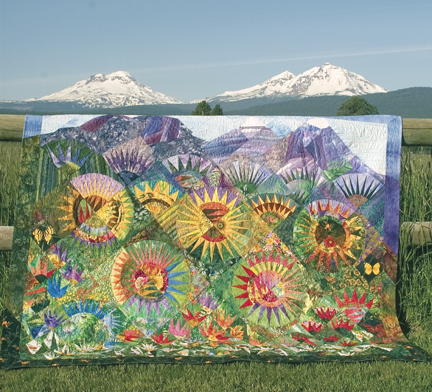 As a non-juried show, the Sisters Outdoor Quilt Show is the only show of its scale that provides a venue for quilters of all abilities to display and sell their work. Unlike many shows that display only art quilts by accomplished and well-known quilters, the Sisters show preserves the cultural traditions of quilting in a “show and tell” environment where everyone’s work is accepted and celebrated. 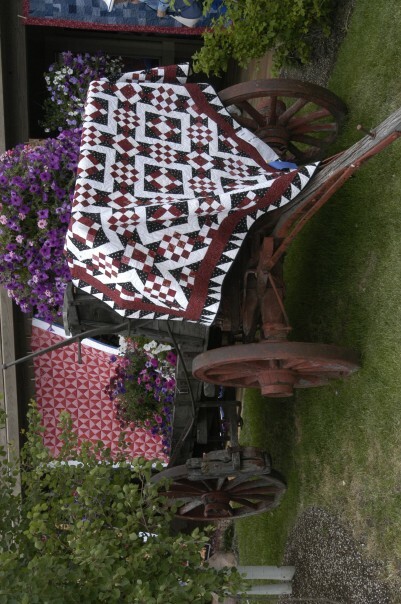 It is unique in its outdoor setting, replicating the traditional “airing of the quilts” after a long winter. The show also preserves, and is dependent on, the tradition of community involvement. More than 500 volunteers, including both visitors and locals, take on the hundreds of tasks required to put on a show of this scale.